Which foods help in diabetes? 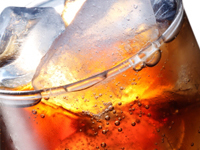 Sugary soft drinks, sometimes referred in common usage as ‘full fat’ drinks, have frequently been linked with poorer health if consumed on a regular basis. Large scale research indicates that regular consumption of sugary drinks, including cola, lemonade and energy drinks, raises the risks of obesity, heart disease and type 2 diabetes. Recommended daily sugar intakes in the UK The Department of Health recommends that not more than 10% of energy each day comes from sugars. This equates to 70g or less of sugar for men and 50g or less for women. 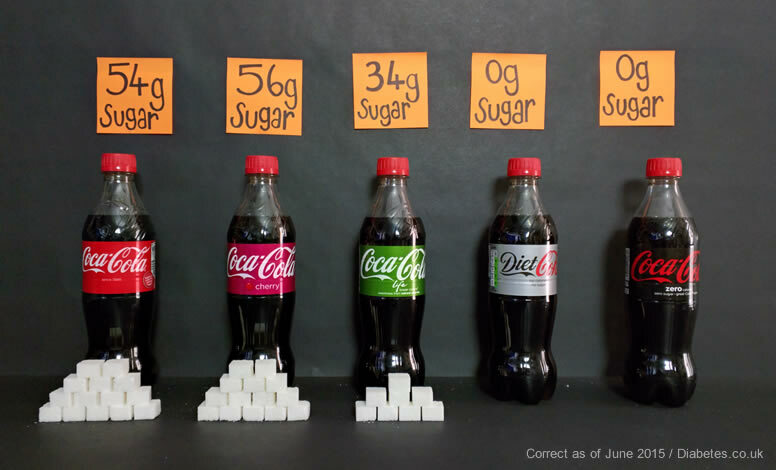 A half litre bottle of a sweetened drink, such as cola, contributes around 60% of the recommended maximum sugar intake. There is no specific recommended sugar intake for people with diabetes, but most people will find they need to limit their sugar intake to considerably less than the Department of Health recommendation to ensure good blood glucose control. Sweetened, sugary drinks can cause sharp rises in blood sugar levels for people with diabetes or glucose intolerance (including prediabetes and gestational diabetes) and so it’s usually best to avoid drinking sugary drinks. One time when sugary can be useful, however, for people with diabetes is if the person’s blood glucose levels go too low (hypoglycemia). If a person is on certain forms of diabetic medication (notably insulin), hypoglycemia can become a particularly dangerous condition. Sugary drinks help to raise blood sugar levels quickly and therefore make for a good treatment for low blood sugar levels. Between 100 and 150ml of a sugary drink such as cola or a glucose drink can help to raise low blood glucose levels back to normal. Sugary drinks can also be useful for people with diabetes prior to, or during, exercise to keep blood glucose levels from going too low. A meta-analysis ran by Harvard University in 2010 found that regular intake of sugary drinks, 1 or more cans a day, have a 26% increased risk of type 2 diabetes. Consumption of sugary could contribute to increased weight gain. A half litre of cola contributes about 11% of an adult’s daily calorie intake. One problem with sugary drinks is that they very rapidly increase blood sugar levels and this can lead to tiredness and increased hunger even in people without diabetes. 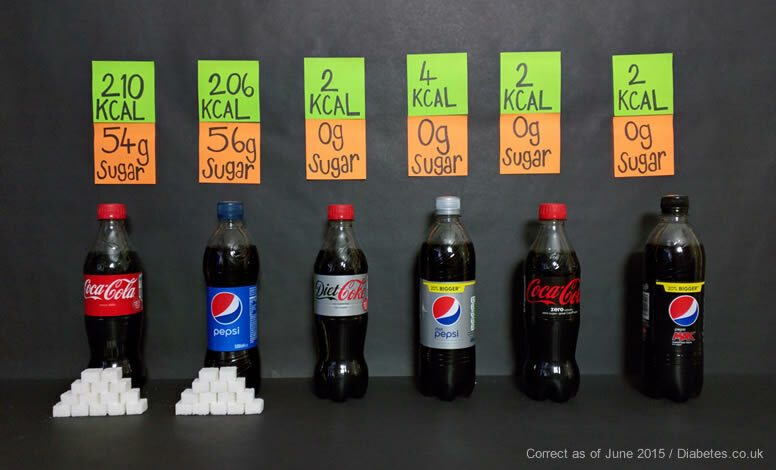 Another problem with sugary soft drinks is that they don’t contribute any nutritional value aside from energy. Long term research studies show that those that as intake of sugary drinks increase, so does weight gain in both men and women. Looking to reduce your weight? See our guides on diabetes and weight loss. Childhood obesity has become a growing worry in the 21st century and the availability of sugary drinks for children is thought to be one of the factors involved. As prevalence of childhood obesity has risen, there has also been a corresponding rise in children developing type 2 diabetes.